Get in the holiday spirit with a new long-sleeve shirt. This year, celebrate Valentine's Day with the real love of your life: Beyoncé. Just in time for the romance-filled holiday, the singer has launched a series of heart-filled merchandise, all available on her website now. 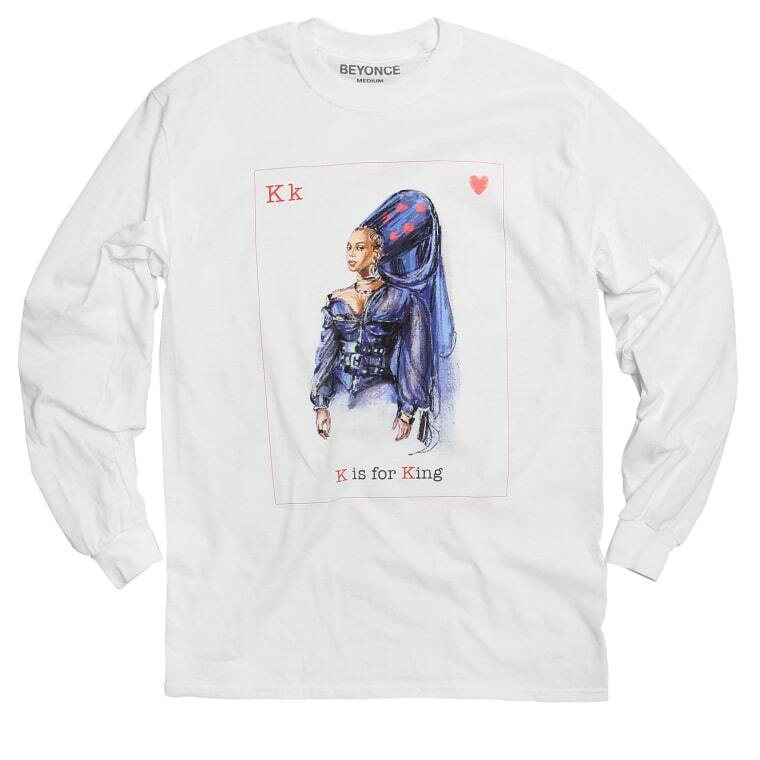 The V-day gear is peppered with old and new references, spanning from Bootylicious shorts to a King of Hearts t-shirt, featuring a more cheerful version of Beyoncé's look in the short film for JAY-Z's "Family Feud." The gifts — for your significant other or truly just yourself — also include a few new phone cases, and range in price from $30.00 to $60.00. Check out a few tops from the collection below, and shop the full Valentine's Day Capsule here.